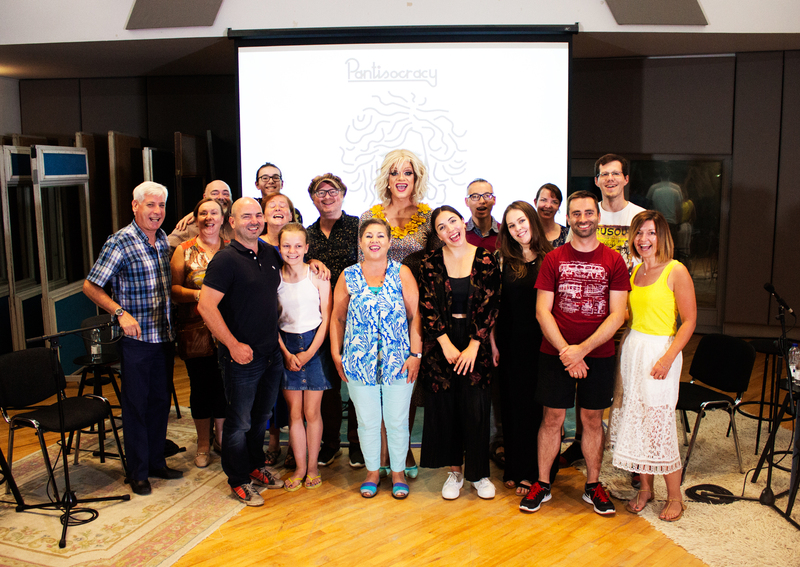 “It was very clever of me to get my name into the show’s title, because presenting Pantisocracy is a pleasure and a privilege, and having my name in the title means it would be very hard to replace me! It all came about when the producer Helen approached me about doing a radio show, and after some discussion we decided the show we wanted to make would essentially take the shape of a traditional TV chat show (chat with interesting guests, and live performances) but instead of the typical celebrities we would talk to people whose voices aren’t often heard, and people who are trying to change things – in ways big or small – to make Ireland a fairer society. And our guests would reflect the full spectrum of modern Ireland in all its diversity. We would make a show that would be like a great dinner party, and at our party we would discuss and examine and celebrate and give out about the place we live in, and the people we are. We’d look back at where we’ve come from, see where we are, and look ahead to where we might be going. We’d have conversations – proper conversations – for, and about, modern Ireland. I’m very proud of the show we’ve made. I think it is the show we set out to make, and there have been so many wonderful moments! Some of which we planned, and some which were entirely unexpected. Like a parent I shouldn’t have favourites (but like a parent, I secretly do) but there was something extra special about our “Awesome Mná” episode. Recorded the day after the vote to repeal the 8th amendment, when the air was still heavy with the stories of Irish women and Irish women’s lives, and when emotions were still running high but tired, all our guests were women and though each had a different story to tell, between them they told a story of tenacity, courage, survival and change. 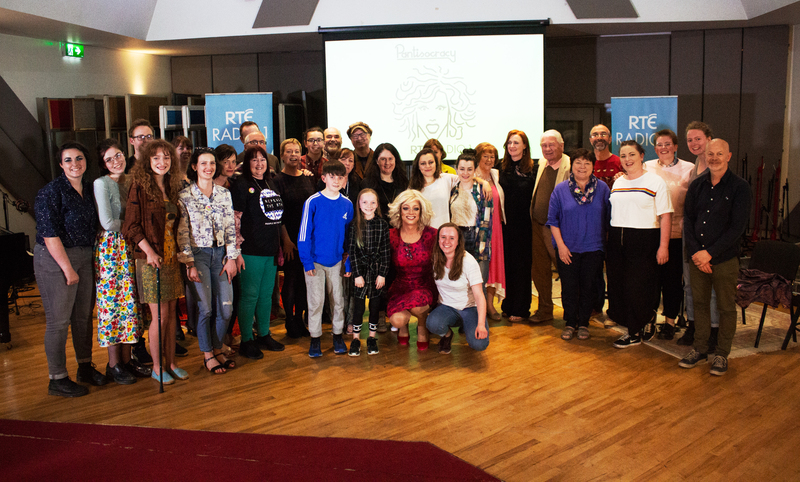 There were a few times that day when all of us – guests and audience – were in tears, but most powerfully when Sam Long told us the incredible, shameful, story of her birth mother, whom she found in a Magdalene Laundry, where she had lived all her life and where her miserable, desperately sad life would end. The story of Sam’s mother will stay with me forever. As will the memory of the wonderful Karan Casey having to ask the audience for tissues before she could sing after hearing it. But there have been so many moments to remember. So many stories! Historian and activist Tonie Walsh telling the story of the murder of Declan Flynn and how it gave impetus to a nascent Irish gay rights movement. Or Grainne Hassett watching the horror of the refugee camps in Calais and getting up off the sofa and going to Calais to see how she could help. And so many powerful musical performances from people like Lisa Hannigan, Ruth McGill, Saint Sister, Ships, and from young musicians and rappers like Tebi Rex or JYellowL who revel in the diverse influences of the modern Ireland. I’m proud that Pantisocracy has given space to spoken word performances, whether poetry or monologue or theatre. Pieces like Vickey Curtis’s Two Fat Ducks, full of rage and love for Ireland. Vickey Curtis ‘Two Fat Ducks’ – Pantisocracy S3 E6 ‘Legally Gay’ from Athena Media on Vimeo. Or young poet Lewis Kenny’s ode to Cabra, or Ola Majekodunmi’s meditation on Hair. Ola Majekodunmi ‘Hair’ – Pantisocracy Season 3 Episode 5 from Athena Media on Vimeo. And I am proud too that we’ve included the voices and stories of the asylum seekers we hear so much about, but hear so little from. People like the irrepressible Ellie Kisyombe who’s using food to bridge the distance between people living in Direct Provision and the local people in the communities around them, or Vukasin Nedeljković who’s now documenting the stories of the people still trapped in the Kafkaesque nightmare of Direct Provision. And so many more! So many “interesting people doing interesting things” who’ve been so generous with their talents, their stories, their expertise, and their insights. I’ve been privileged to get to meet then and learn from them and be inspired by them. And I hope we have helped them to tell their stories, whether the story they have to tell is dark or light. And I hope – and in truth I believe – that we managed to do that intelligently, with sensitivity and charm.